BoginaBag is a unique portable toilet that is hygienic, lightweight and robust - As seen on Dragons Den. Folds out as a seat and having the function to be a toilet that is hygienic and uses no chemicals, making it totally unique!. BoginaBag is 65cm in length with a diameter of 13cm. When set up as a toilet the dimensions are 35cm across the seat and the height is 47cm. BoginaBag weighs less than 1 Kg and has a user weight limit up to 125kg (19.5 stone). Each bag has two handles so once you have finished it can be tied and disposed of in a standard waste bin. These bags are designed to be used for both solid waste and liquids. BoginaBag (Bog in a Bag) is a unique portable toilet that is extremely light weight, portable and very robust. It provides the owner with a solution to that age old question of needing to go and having nowhere to go! It folds out as a stool, but when nature calls you then remove the cover insert one of our specially designed degradable bags, relax and relieve yourself. Once you have finished, the “magic crystals" will absorb any liquid. You then remove the bag, tie the top and dispose of the bag in a bin. The bags completely cover the seat of the stool so there is no mess and it is completely hygienic and ready to be used again and again. 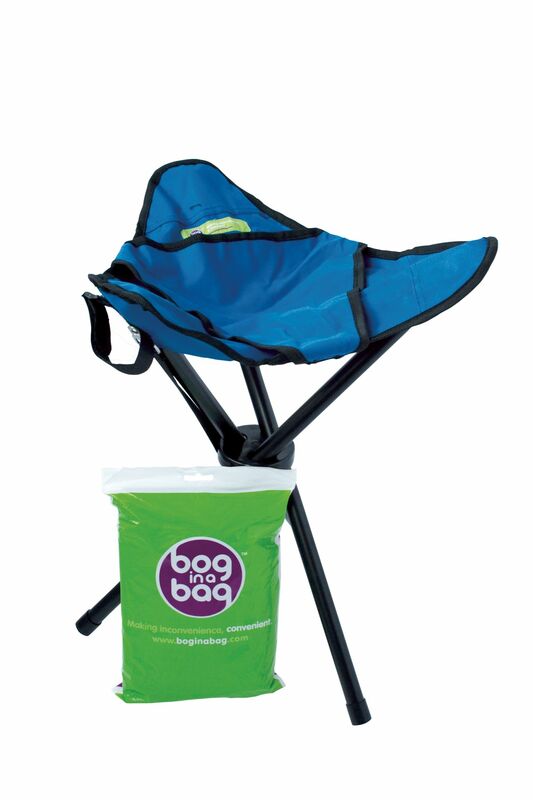 Remember BoginaBag can also be used as a general purpose stool. The revolutionary super absorbent "magic crystals" hold liquid like no other substance! They absorb about 30 times their weight in urine and are used worldwide for babies and adult incontinence products so they are hygienic, safe & proven to work, perfect for the job! BoginaBag pads contain a granular powder which is contained inside the fibrous cellulose of the pad - When it absorbs water it swells into a gel which traps the liquid. 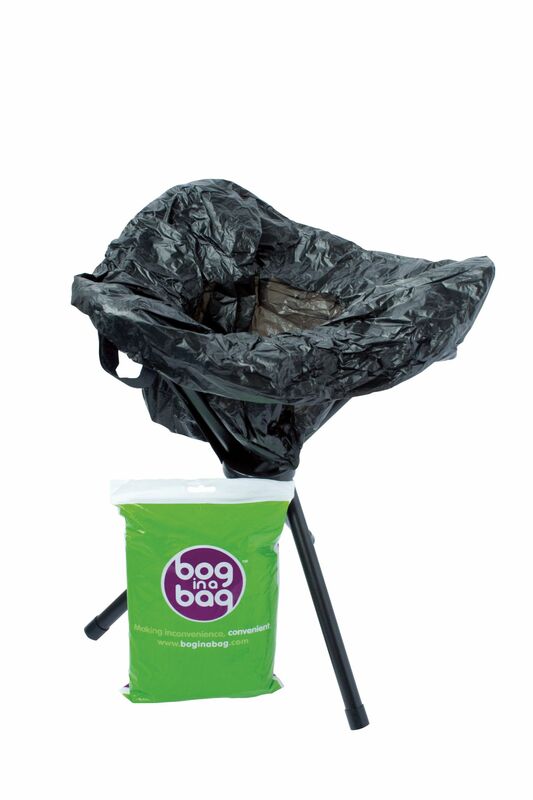 BoginaBag bags are degradable which minimises the impact on the environment. BoginaBag bags are hygienic without the need for environmentally damaging chemicals. Within each bag is a high absorbent pad that soaks up to 700ml of liquid. Each bag has two handles so once you have finished it can be tied and disposed of in a standard waste bin. These bags are designed to be used for both solid waste and liquids.